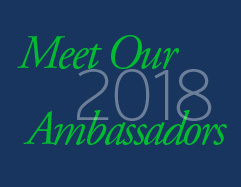 September 2018 marked the third annual Rheumatic Disease Awareness Month™ (RDAM)! 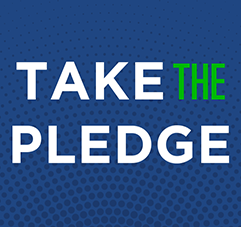 Thanks for joining the American College of Rheumatology and Simple Tasks™ as we work to improve the public’s understanding of rheumatic diseases and advance the health and well-being of millions of Americans. Sports broadcaster and NFL Hall of Famer Terry Bradshaw and the ACR teamed up for the second year in a row to produce a national public service announcement (PSA) emphasizing that with a healthy lifestyle, it’s possible to live well with rheumatic disease. Flare-ups aren’t fun, but with active self-management and regular visits to your rheumatologist, you may find yourself living well and doing more! 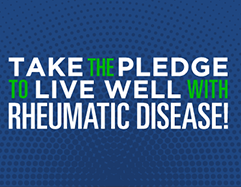 If you or someone you know has a rheumatic disease, we encourage you to take our pledge to live well and get informed on ways to advocate for your care. 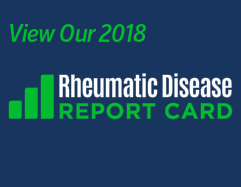 The American College of Rheumatology and Simple Tasks™ have developed the Rheumatic Disease Report Card: Raising the Grade on Rheumatology Care in America to answer the question: How easy is it to live well with a rheumatic disease in my state? Of the 50 states and the District of Columbia, only one state – Maryland – received an overall grade of “A.” The vast majority of states received either a “B” or “C” grade, while two states – Alabama and Oklahoma – received a “D.” These findings demonstrate that across the country, improvements are sorely needed to increase the quality of life for people living with rheumatic diseases. See what grade your state earned and learn how you can help raise the grade on rheumatic disease care.